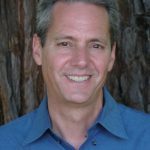 It was nearly noon on Friday, May 16, when Tom Harlan, Palm Drive Hospital’s beleaguered CEO, rushed past me in the hall outside the federal bankruptcy courtroom in Santa Rosa looking like a man who had just seen a ghost. Two attorneys being paid about $500 an hour by the Hospital to ostensibly represent the people living in the Palm Drive Hospital District had just resisted Chief Federal Bankruptcy Judge Alan Jaroslovsky’s intense pressure to appoint a mediator between the Hospital and the Palm Drive Foundation. The Foundation has offered, and tried to negotiate, a detailed doctor-led plan that has been the only option on the table that could re-open the small, famously caring rural hospital’s emergency room, closed on April 28 for the first time in more than 70 years. As an investigative legal and financial journalist for more than 30 years, I have been in quite a few courtrooms. But never before have I heard a judge try so hard to compel an outcome he did not have the authority to order. After more than a month of fruitless discussions and revisions, the Foundation had grown frustrated with what they, and many members of the public, viewed as a lack of good faith negotiations by Palm Drive’s failed management to turn over the keys of the closed hospital, and let the only group that had successfully managed the hospital in the past to step in and run things. The Foundation’s doctor-led plan wanted to bring in a sharp new CEO, allied with a team of respected local doctors, and $2 million in donated funds, to reopen the emergency room and implement a tightly budgeted, well-marketed “entrepreneurial” plan to add neurology and other departments, and restore the hospital to profitability. It would be challenging, but not impossible, since the hospital only lost $1.4 million on $27.5 million in revenue last year, has never properly marketed itself, and was rated by Consumer Reports, in its most recent survey of more than 2,500 hospitals nationwide, as the safest hospital in California, and the fifth safest in the country. The Foundation did not think that Tom Harlan, Palm Drive’s $237,000 per year CEO they intended to replace, or the Board members who backed his failed performance until it was too late to save the hospital, or the consultants and attorneys whose contracts they would immediately terminate, were the best people to fairly evaluate the viability of their doctor-led takeover plan. The Foundation had requested that the bankruptcy court appoint a mediator to review the 70-page Physician/Foundation plan. The judge recommended Thomas Carlson, a retired and respected federal bankruptcy judge with a lifetime of mediation experience, to spend two days reviewing and mediating the impasse in negotiations that the hospital and Foundation had come to. In that morning session, Judge Jaroslovsky let the hospital’s attorneys in his bankruptcy courtroom know he thought this was a good idea. “I have spoken to judge Carlson and yes, he is available,” Jaroslovsky offered. But Palm Drive Hospital’s slick lawyers held fast. Dale Britton, a Marin-based attorney from Marin General Hospital who came to court to help represent the Palm Drive District Board, will be paid from West County parcel tax dollars for making this statement in response to what the Foundation characterized as the “public interest,” the “desperate” community need, and widespread demand for an emergency room. Judge Jaroslovsky seemed amazed at this line of reasoning. “Is the assumption that the public prefers an emergency room wrong?” he asked. The request for mediation had failed. In the hallway, I tried to ask Harlan about his lawyers’ statements, which contradicted what had been said at three public meetings in April, by all but one of more than a hundred outraged citizens, who demanded that the Hospital keep its emergency room open. Harlan looked flabbergasted and tripped on his words. A few days earlier, I had heard that he had sent a letter to staffers announcing his intention to resign next month because of the intense emotional pressure closing the hospital was having on him. Although I felt sorry for him, as he shook his head nervously, I wanted to ask why he was resigning. “I won’t be commenting,” he said, quickly looking at the sharply dressed legal sharks surrounding him as though they had just bitten off one of his legs. During the past five weeks, I have spoken with scores of parents, citizens, seniors, doctors, experts, and officials, about the closing of Palm Drive. Nearly all of them expressed gratitude for the humane, local, heart-felt quality care that made Palm Drive so different than impersonal, crowded urban mega-hospitals. Many spoke of lives that had been saved because of Palm Drive’s proximity, and expressed a growing concern, shared by Sebastopol’s Police Chief and Fire Chief, about the lives that will inevitably be lost as a result of the emergency room closing. In marked contrast to the astonishing “we don’t know what the public wants” position that attorneys, consultants, officials and some Board members of Palm Drive Hospital, have publicly taken, I have yet to interview a single member of the public who does not want to see our community restore Palm Drive’s emergency room, for the sake of our own lives, as well as the lives of our families and neighbors. 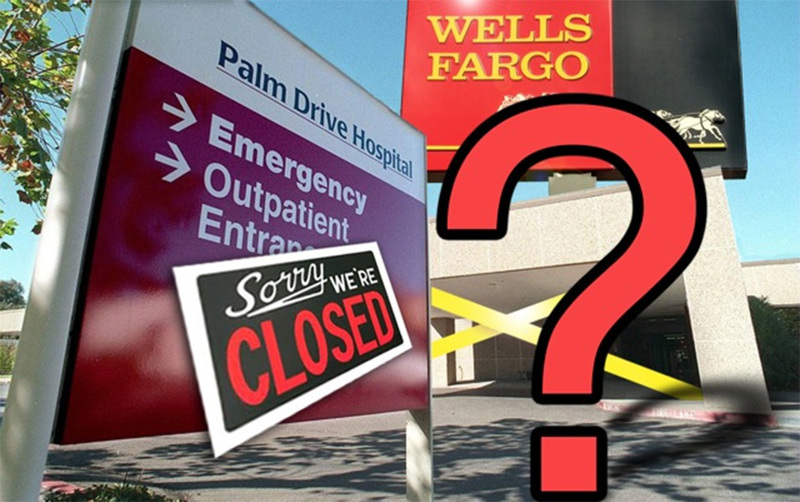 It is this widely-shared, challenging objective that has compelled me to dig further into this story, without compensation, to investigate, and share, the real story of why Palm Drive Hospital closed—and what can be done to re-open it. I am unwilling to go quietly into the night of the “new normal” of a diminished, less caring emergency care system for the people of our community. In this process, I have felt myself move from a reporter, to a pundit, to a public interest advocate committed to doing what I can to help restore our community’s emergency room. I have been accused of being unduly influenced by critics of the Hospital, and of being one-sided. Sources like Tom Harlan and Palm Drive Board President Chris Dawson will no longer answer my questions. But many others have, and there is ample source material in documents and on video, which I have drawn from for this exclusive multi-part, investigative WaccoBB.net series about Palm Drive Hospital. I am committed to providing a fair, accurate assessment, as close to the truth as I can come. And to correcting any documentable inaccuracy that is brought to my attention through the comment section, or email, here at WaccoBB.net.